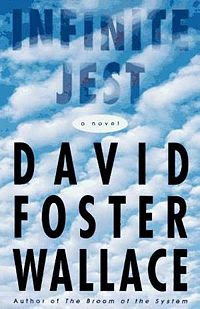 I saw this morning that David Foster Wallace, author of the novel Infinite Jest as well as many essays and short stories, is dead. I met David briefly when he spoke at Goshen College while I was a student there. He was a family friend of someone in my class and was kind enough to come to our small school and do a presentation and a book signing. I had purchased a copy of Infinite Jest from the bookstore in preparation for his visit. When I handed it to him to sign he made a comment about it being a hardcover copy, and added that he'd never bought a hardcover book, seeming almost embarrassed that I'd bought a hardcover copy of the book he'd written. He was apparently a very interesting, intelligent, kind man, in addition to being a very talented writer.